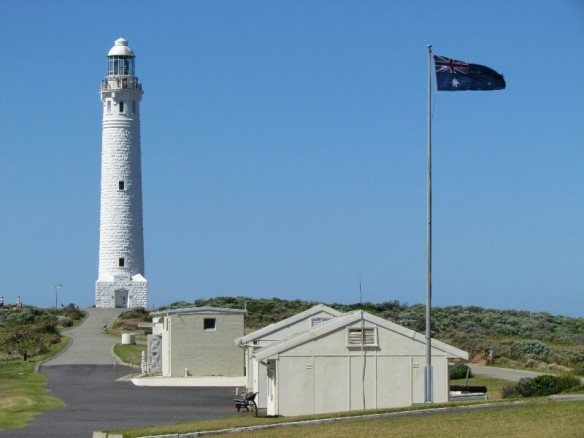 Tom's first posting as an ex-serviceman in the Commonwealth Lighthouse Service was to Byron Bay. Cape Byron lighthouse is located at Australia's most easterly point. The six months' relief posting at Byron Bay, up on the New South Wales coast, with two other keepers and their families, taught Tom the basics of life on the Lights. Janus Rock is a fictional island located 160 km (100 miles) off the southwest coast of Western Australia. According to Keith and Susan Hall, "The island with its lighthouse is actually fictional. But you get a good idea of what it is like by looking at Cape Leeuwin in the southwest of Western Australia, where the Indian Ocean meets the Southern Ocean. Just imagine that long, thin cape being moved 100 miles out to sea, and that’s Janus Island" (see Somewhere Else). The other side of the island looked back, fretful, toward the Australian mainland nearly a hundred miles away, not quite belonging to the land, yet not quite free of it, the highest of a string of under-sea mountains that rose from the ocean floor like teeth along a jagged jaw bone, waiting to devour any innocent ships in their final dash for harbour. As if to make amends, the island – Janus Rock – offered a lighthouse, its beam providing a mantle of safety for thirty miles. 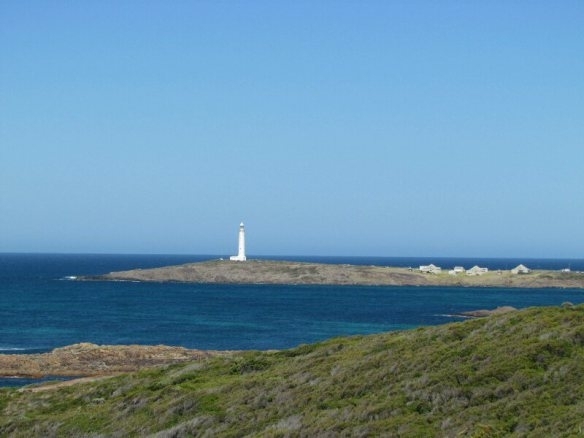 Tom's second post as a lighthouse keeper was to Maatsuyker Island, which is where Australia's southernmost lighthouse is located. 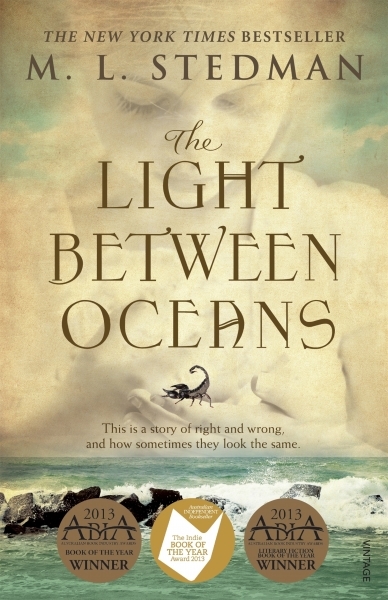 According to Keith and Susan Hall, "The town of Partageuse in ML Stedman’s novel The Light between Oceans is fictitious. It’s nearest equivalent in real life is the town of Augusta, about 8km from Cape Leeuwin in the southwest of Western Australia" (see Somewhere Else). The town of Augusta, settled by Europeans in 1830, is one of the oldest settlements in Western Australia. It was named after Princess Augusta, Duchess of Cambridge and daughter of King George III. Augusta is located in the Wardandi Aboriginal language group region. The community of Partageuse had drifted together like so much dust in a breeze, settling in this spot where two oceans met, because there was fresh water and a natural harbor and good soil. Its port was no rival to Albany, but convenient for locals shipping timber or sandalwood or beef. 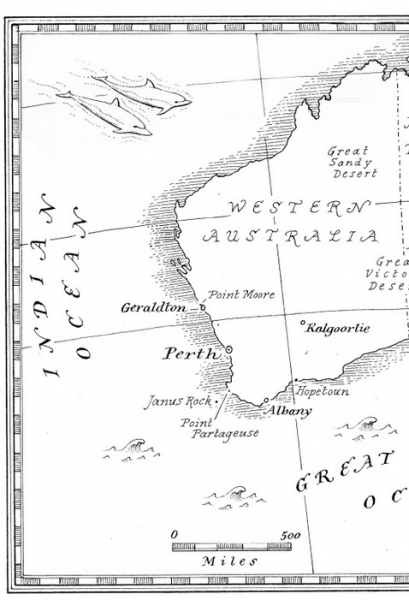 In her review of the novel for Griffith Review, Danielle Wood states that Stedman "recasts the coastline" of Western Australia, "replacing Cape Leeuwin with ‘Point Partageuse,’ beyond which lies the fictional Janus Island." Cape Leeuwin is the most south-westerly point of Australia where the Indian Ocean meets the Southern Ocean. 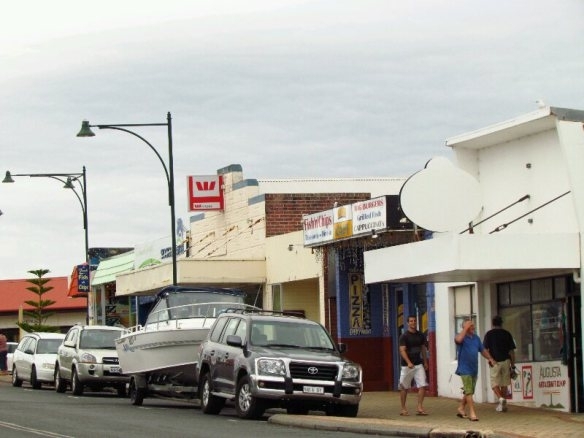 It is located in the Wardandi Aboriginal language group region and it was named by Europeans after the Dutch ship first known to have sighted the coastline in 1622, the Leeuwin (meaning Lioness).